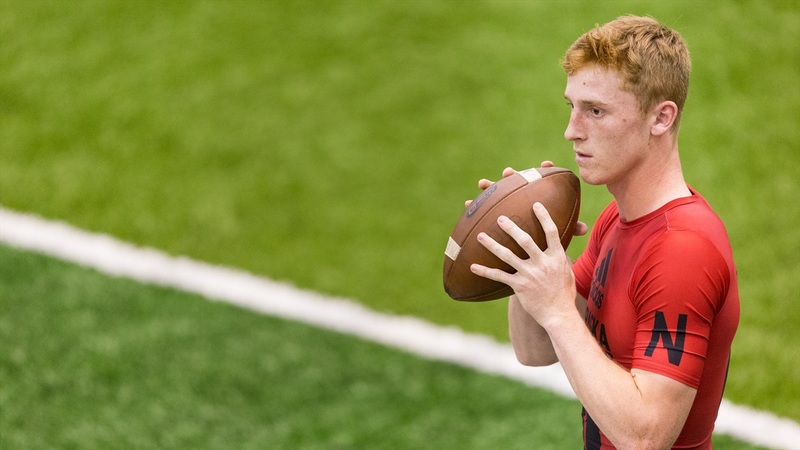 Now that we are full-swing into recruiting for the class of 2019, we can take a moment to get to know some of the key players around the state of Nebraska (and one just across the river). Let’s see what driving these guys for their senior seasons and what each is looking for in a college. The team goal would be to become the best team and get the most out of what we are capable of doing. Every team’s goal is winning the state championship so you have to aim for that. But we gotta take it a game and a team at a time, get by the regular season and hope to play well and make it to playoffs. Then, play well there and make it to the UNI Dome where the semis and state championship are. My individual goals would be to work on bettering my craft. So, working on staying in the pocket for a little longer and getting through my reads, accuracy and creating a quicker release and more arm strength for intermediate and vertical throws. I am looking at offensive philosophy and whether my skill set would fit with what they were doing on offense. Then being comfortable with the coaching staff. The people in the program will be very important to me and what the head coach's culture is like because whatever happens the head coach's culture or mindset is a big thing. Plus, I look at the school in general. What kind of degree I'll leave with and I think about if I wasn't playing football would I enjoy myself at the school. My favorite thing is hanging out with my buddies. Whatever it's doing from playing ping pong, pool, darts, video games or going out with them. It's my favorite thing to do is just be around them. 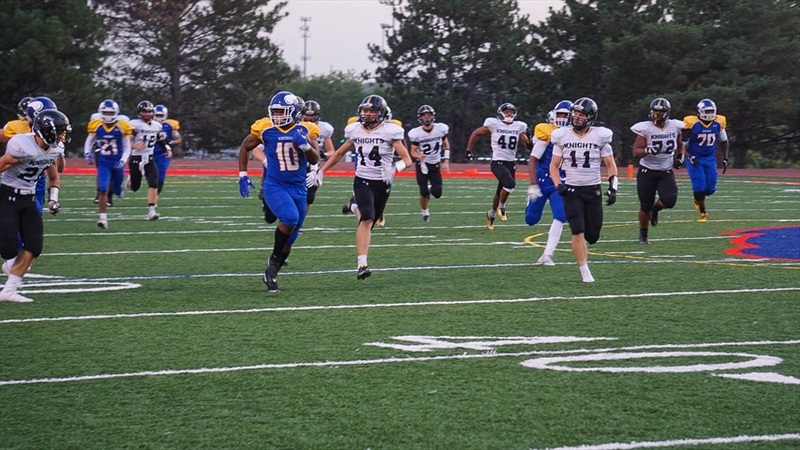 Omaha North running back Zander Gray breaks free during a game against Lincoln Southeast in 2017. My goals for next season are to break multiple school records and state records plus win state again. Also make my teammates better. I look for if they have the major that I want, and also I ask and see if they are very close, like a nice bonded team or family. Team goals are to just keep getting better and be able to put ourselves in the best position to win a state title. Individually I just want to keep getting better every day and keep getting bigger, faster and stronger. Favorite thing to do outside of football is lift or run track. Outside of that I love being with my family and friends. After winning the State Championship and going 13-0 this year, we are all hungrier to go back-to-back next year and complete another undefeated season. Individually, I want to continue to hit the weight room hard this summer and strive to grow in size and strength. I have a tough time putting my own goals above my team, so I would say that one of my individual goals is to lead and inspire my teammates to be the absolute best they can be - both on and off the field. As far as personal goals, I want to get at least one sack a game and block like heck on offense to help my teammate, Dylan Kautz, achieve the all-class rushing record (which he is in the running for). When he scores or racks up yards that means I'm doing my job. I am looking for a program that is based on high character and integrity with a solid player-development program - both on the field and off. I love all sports (as I play basketball and throw in track) but my favorite thing to do outside of sports is to camp and fish. A campfire and a lake is all a man really needs! 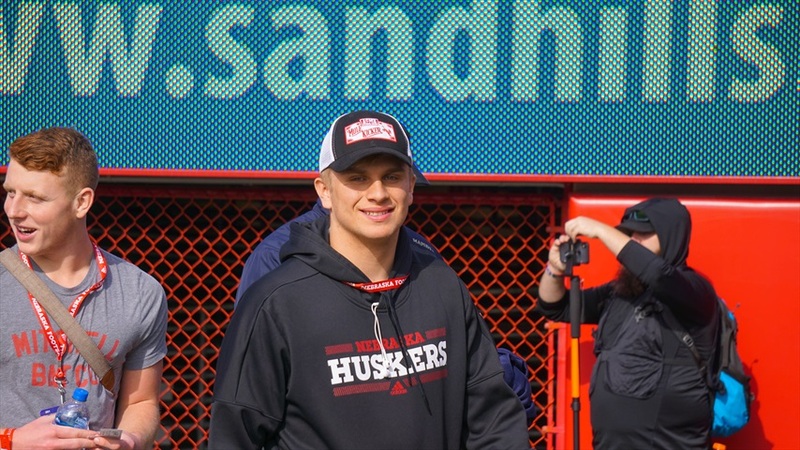 York athlete Garrett Snodgrass during an unofficial visit to Lincoln in 2017. Team goal is another state title and individual will be to become a more effective passer in our offense. I was looking for somewhere that fits what I want to study, location, and coaches that are smart and fun to be around. Since you are already committed, what excites you most about the Frost Era? I am excited about getting to know the coaches more and I hope that they can carry on their success to Nebraska.